Want to Know Our Secret of Investing Money? Leverage is the use of financial instruments or borrowed capital to increase the return of an investment. If you are interested in investing money in real estate, then you will want to read this. Simple Acquisitions is a syndication company that partners with private lenders. We’ve sometimes been asked why we buy rental properties using leverage instead of buying them all cash. When investing money from lenders, some companies do use 100% of private lender money to fund their investment properties. There is nothing wrong with that. However, it’s not always ideal to tie up all your cash. There are some great benefits to having a portion of your investment as borrowed money. This is especially with today’s low interest rates. In real estate, leverage is based on the asset’s value which with multi-family is based on the performance of the asset. As a result, institutions will loan up to 70% (and sometimes higher) of the asset’s value. 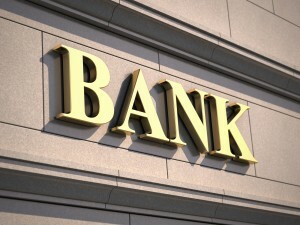 The bank assumes the first mortgage giving them security and comfort level to lend the funds. They know that real estate is a profitable investment. Also, right now, with rental demand being so high, they are happy to lend on multi-family real estate. You may be asking how to become a real estate investor? Well a good real estate investor uses leverage. When it comes to investing money, we don’t believe there is any other investment out there where the application of this incredible tool is more powerful than real estate. When you leverage an investment, you reap the benefits of the appreciation on the total asset value. All the while, only having a small percentage of your own money in the deal. 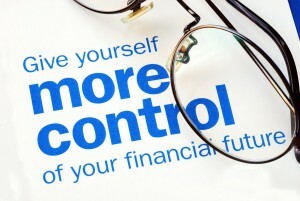 By only putting down a small portion of the purchase price you can control more real estate than without financing. By using institutional financing to purchase a property we are able buy a larger property. This produces more income and increases our return on investment. Our investors appreciate that. Leverage allows you to achieve a much higher return on investment than you could without it and generally. When financial leverage is positive, the more leverage you use, the greater your equity returns . That’s the velocity of money working for you. Another great advantage of using leverage to purchase rental properties and having a mortgage is the tax benefits. There are tax write offs and deductions that can be applied to offset the income on properties. It’s based on the entire purchase price of you building, and not just the down payment. So now you know a secret to investing money as a real estate investor – use leverage. If you want to learn more about leverage and how real estate can benefit you, drop us a line. Leverage is just one of the great advantages for those who are interested in investing money in real estate. Find out other great advantages when you sign up for our Multi-family Video Series!